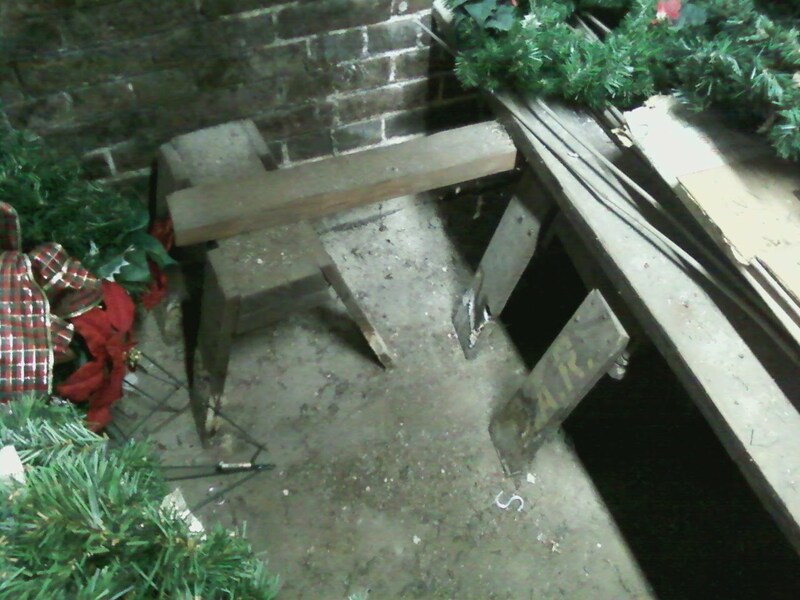 Chris Cooke, Superintendent of the Oak Hill Cemetery, asked me to drop by when I got a chance to take a look at some small sawhorses that he found in the Administration Building basement. They had the letters "G.A.R." on each one. I counted at least nine of them, but there might have been a couple more; some were being used like stands for some planks that were marked "Oak Hill Cemetery." 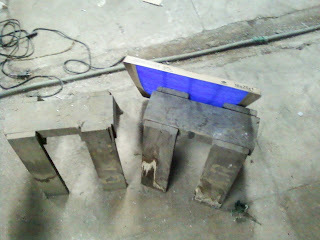 Chris speculated that the planks were used to stand on when lowering a coffin into the grave... that was just a guess. All of them had water stains on the legs and were dirty from being stored in the basement undisturbed for many years! Below is a picture of one of the legs with the letters stenciled on it with the "G" being at the bottom. We used a 16"x 25"x 1" filter to show the approximate size. They were about 12 to 15 inches tall and about 15 inches long. Photo above shows how most has been used in this storage area in the basement. The planks with the stands made a nice shelf to store some of the cemetery's wreaths. The mystery has four parts. Why are they so small, why do they have the letters "G.A.R." on them, what does "G.A.R." stand for, and what were they designed to be used for? The initials, immediately, point to the "Grand Army of the Republic." Or could they be the initials of someone or a funeral home (or even a vault company)? The small size might be to use as a platform or even a stage. Maybe they were used like barricades to block off some of the streets during some funerals or special ceremonies. They seem too short for using as benches. Were they donated to the cemetery or simply just abandoned? Anyone have any ideas, let us know, please!